The Trust purchased two properties in the centre of Tarbert in 2006/7 with the intention of building an office for for the organisation and incorporating two affordable flats for rental above the new office space. It was decided during 2009 that this development should become a high priority for the Trust. A “design and build” contract was awarded to Calmax Construction during 2010. The building, which was completed in June 2011 sits in a prominent position in the village a stone’s throw from the ferry dock, next to the Post Office. On the ground floor of the building is the new “Tigh an Urrais” office housing trust staff. This purpose-built office provides work space for up to 9 people, a Board Room and a Meeting Room. The two, two-bedroom flats on the upper level have now been allocated to local people. 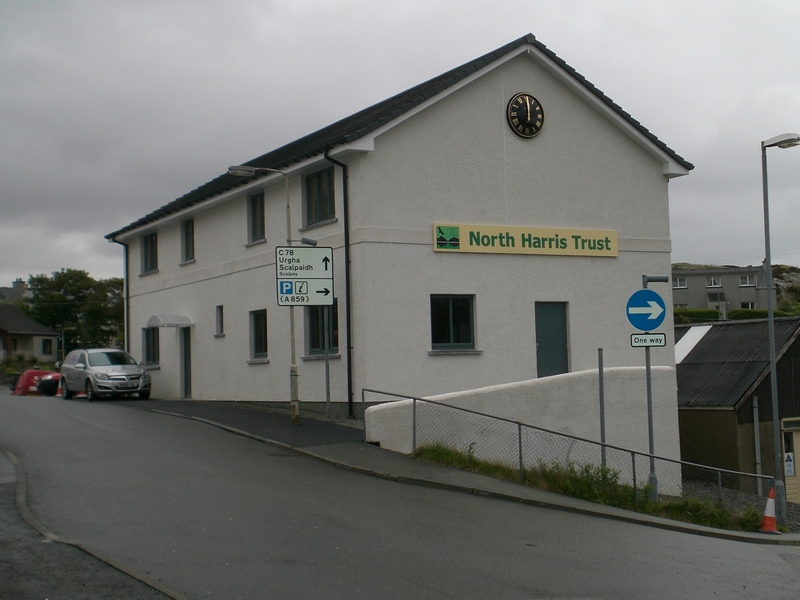 The relocation of the Trust Office to this prime site in Tarbert has given us a more prominent and visible base within the community. It provides easier access for Trust members and visitors to North Harris alike.